Studies have discovered that 99% of couples who choose a traditional wedding go on a honeymoon. In the UK, the average honeymoon costs just over £3,500. 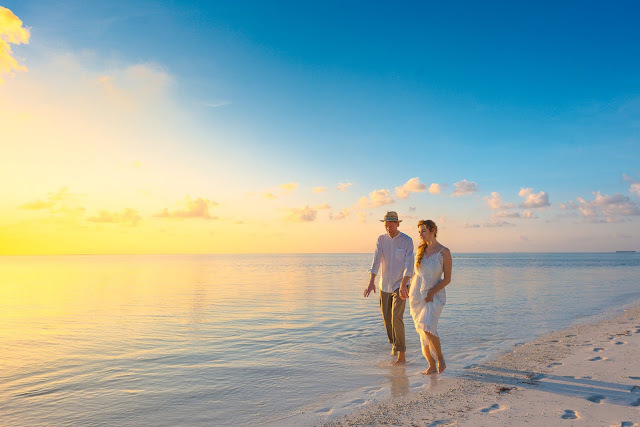 Considering that the average cost of a summer holiday for a family of four costs close to £1,000, its clear to see that couples certainly splash out for their after-wedding vacation. Many people get inspiration from their friends and family for a honeymoon. In fact, an outstanding 80% of honeymooners in the last 5 years used social media to research their ideal destinations. There is a lot to consider before you decide on your dream destination. Here to ease the stress, Angelic Diamonds, retailers of beautiful engagement rings, tell us the top luxury honeymoon locations of 2018 and how to perfectly plan your romantic trip there (down to the pound). Kuoni, a luxury travel operator, revealed their top booked honeymoon destinations. Situated in South Asia, this destination is a dream holiday for many. It’s made up of more than 1,000 coral islands and is famous for its sugar-white sand beaches, private islands and luxurious resorts. 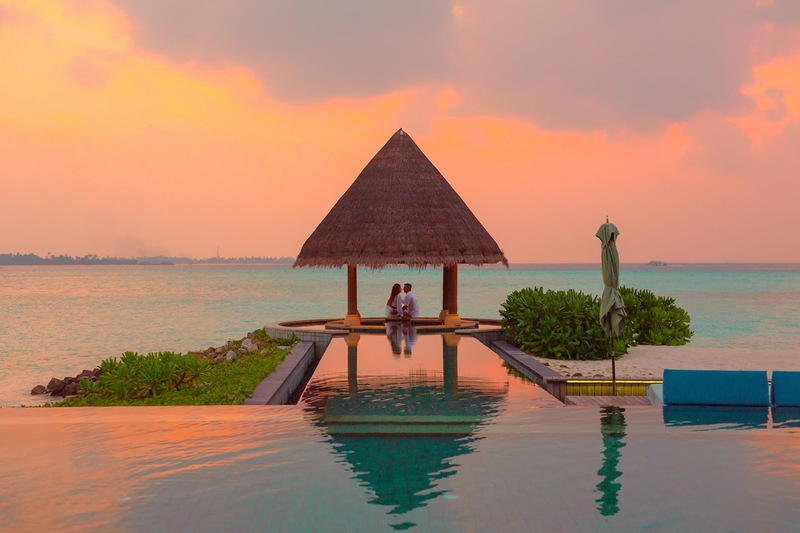 It oozes magnificence and romance, no wonder it was revealed to be the top honeymoon destination of 2018. Head over to the Piano Deck at Baros. This is a platform built in the heart of the ocean that can be hired for a few hours for breakfast, lunch, dinner or spa treatments. Why not treat yourselves to a sunrise breakfast for £235. Sri Lanka has only recently become a popular tourist destination, but it’s clear to see why. With eight UNESCO sites and many opportunities to have memorable experiences, it’s an amazing place to visit. Travel to the World’s End by foot. This is a sheer cliff situated in Horton Plains National Park which looks over tiny villages and tea plantations. The round trip is around 7.5km by foot, and many say that you won’t regret it (and it costs under £20). Take time out to go to the Chamarel Waterfall. Surround yourself with luscious vegetation instead of the sandy beaches you may have become accustomed to and explore the southern side of the island. Kuoni’s booking figures revealed that Thailand is the second most popular honeymoon destination for LGBT couples and fourth for straight newlyweds. It’s become popular with backpackers over the past decade but that doesn’t mean it’s not full of hidden gems and romantic spots. Adventure around the Phi Phi islands. Considered to be some of the most beautiful islands in Southeast Asia, you can reach them by a short speedboat journey from Phuket or Krabi. Discover true paradise and turquoise-blue waters with your partner. Visitors to Bali always comment on the unforgettable culture and landscapes. The people are friendly and the beaches are one-of-a-kind — we’re not surprised it made it into the top five. Take to the waters and head to the Gili Islands. Take the fast boat over from Bali to the islands and sit on the famous Datu Swing at Hotel Ombak Sunset with your loved one as the sun goes down. *At time of research — based on cheapest month to fly and cheapest return ticket.